In a heightened era of American Exceptionalism under an overtly chauvinistic President and administration, IHRC is convening a conference to unmask the more systemic problems that undergird US Exceptionalism. 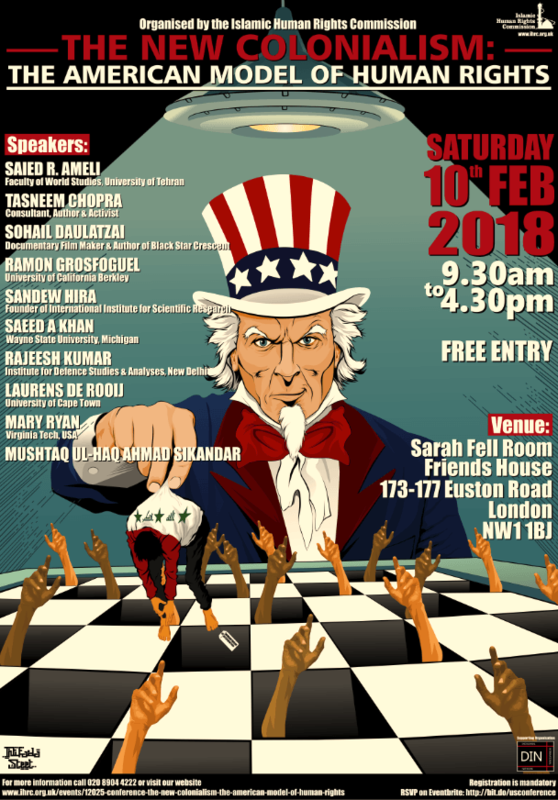 In particular this conference will focus on the Americanisation of Human Rights, and the praxis of human rights, arguing that they have become a tool of US led foreign policy rather than a transformative discourse that seeks to liberate individuals, groups and indeed large sections of society who are oppressed by unjust systems. – The Worship Space is located on the ground floor next to the bookshop. This space belongs to the Friend’s House and thus will not be segregated, so please kindly use your own discretion. The qibla direction and prayer mats will be provided.